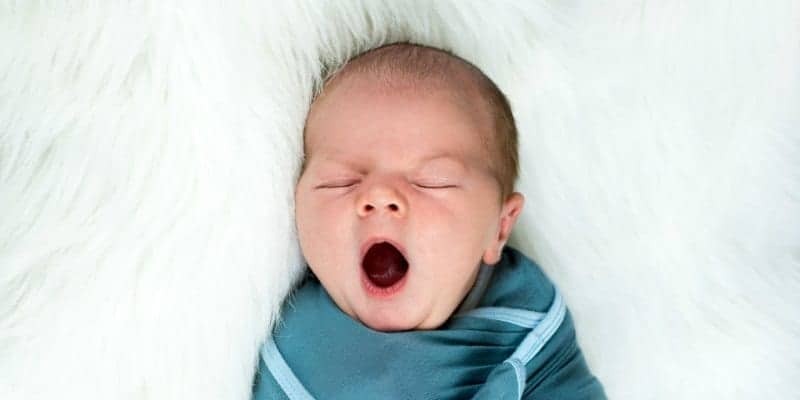 If you suspect your baby has trouble sleeping due to reflux, this post will give you practical solutions. Babies with reflux have a hard time sleeping. Okay, it’s not that hopeless. But it is hard. Baby is uncomfortable and baby doesn’t find it easy to go to sleep if they are uncomfortable. Reflux causes pain in baby’s tummy, throat, and mouth and then can be woken up from sleep easier. Gas often accompanies reflux and it can seem like a negative cycle. Our Story With Reflux…. Or Was It? I’ll not soon forget the first round of baby vomiting. My second born son would feed, feed, feed, then he’d throw up, have gas, and have trouble sleeping. I knew it takes some time for baby to “figure out how to feed” so I let the symptoms slide for a few weeks before mentioning them to my midwife. Maybe I was doing something wrong, I thought. Turns out, I was and I wasn’t. The doctor saw my son had reflux symptoms and prescribed some medicine for us. We lived near Sydney at the time and were planning a trip to the States, so I dutifully had it filled as part of our trip preparation. Because I was a new mom and didn’t do enough research, and was frazzled traveling overseas with two babies 1 year and younger… I forgot to get the flight attendants to refrigerate the medicine. By the time we landed, the medicine had turned a brownish color that signified it would no longer work. So my baby was around 2 months old and I’d had reflux medicine for about three days now it was gone. I was desperate to figure out the root cause of this, not just treat his symptoms, so I started to watch for what was happening while I was feeding. It was going to be a few days until I could get him into a doctor here anyway. Then, I noticed something interesting happening while I was feeding. Baby seemed to be choking on the milk. In fact, the milk was coming out so fast that he barely had time to swallow before it went down his throat, into his tummy, and out into his diaper. The midwife had actually told me that a lot of the milk was undigested in his diaper because it was in and out so fast. One possible cause (certainly not all, consult your doctor and follow their recommendations) of reflux like symptoms is hyper-lactation. I found this term after tons of Googling, #thankyouverymuchGoogle. Hyper-lactation essentially means mothers make more milk than strictly necessary for their baby. It often causes a very fast and aggressive letdown where milk comes out without much work on the baby’s part and it can often be painful for the mother. There can be a lot of engorgement and a foremilk / hindmilk imbalance that results in fussiness, gas, and reflux like symptoms in infants. Once I was able to realize that hyper-lactation was the cause of the reflux like symptoms, I could do a few things during feeding that would help ease his symptoms. And ultimately help his sleep. Change position while feeding. Lie down or lay back and have baby on your chest so baby has to “work harder” to get the milk and gravity isn’t helping the milk come out at a faster than necessary rate. Nurse from one side at a time. If both sides have an aggressive letdown and you give baby both then they’re twice as likely to experience reflux symptoms. Instead, feed from one side fully for a long time. They’ll still get all the hindmilk rich in nutrients and have less foremilk. Wait until 3 months or so to do something drastic. After this time, witching hours should also be a thing of the past which will help you tease out the issue. I had hyper-lactation with 3 of my babies and by 3 months or so all had evened out. But wait… how do you help babies with reflux sleep? 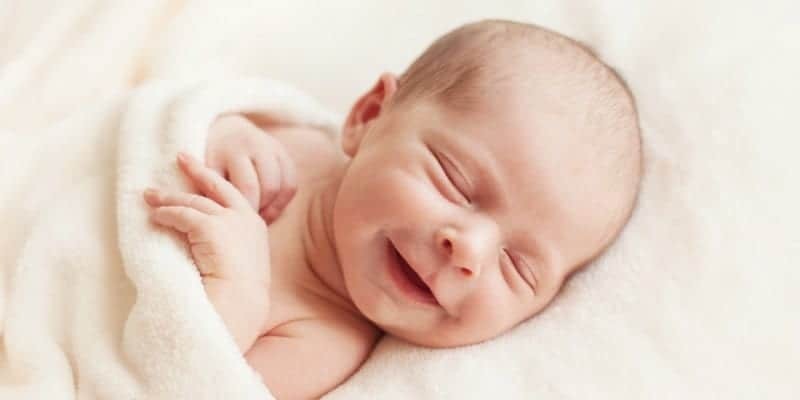 So with at least 3 babies who had reflux like symptoms, I learned that the best you can do is to make super baby is well fed, help minimize their pain or discomfort, and create the right conditions for sleep. But you can’t make baby sleep. Truthfully, all my babies slept well because it was something I focused on. When you focus on something you see results. But it wasn’t without some struggle and – it goes without saying – comforting baby is always paramount. Sometimes when baby is in pain it is the comfort of mom that will help him sleep. So I kept that in mind when I wanted them to sleep, but they wanted to be held or sat upright. Whether baby is sleeping in a crib or in a bassinet or wherever else, put the mattress at a safe incline that will help prevent some of the reflux from coming up. Same reason why older folks will sleep sitting up in a recliner (or why you did it while pregnant!) because gravity keeps the stomach acids down. As long as the incline is not too steep that baby will tend to slide down it, then this will help position baby on his back with a better chance of getting to sleep comfortably. We also have used towels or blankets under the mattress to achieve the same effect. I don’t know about you, but burping ain’t as easy as you think it will be. It doesn’t always result in a burp. When I was in the throes of hyper-lactation I always made sure to burp for as long as it reasonably took until I felt sure baby wouldn’t have gas. I knew if I’d missed one because at the 45 minute mark baby would wake up from a nap crying in pain. I’d often go to the crib and lift the baby and – as I did so – the baby would burp. If baby goes to sleep and wakes after 45 minutes crying, there are usually two culprits. Baby has trouble transitioning through sleep cycles from passive to active (or vice versa) sleep. If baby has reflux it could be that while trying to transition they felt pain, gas or otherwise, and woke up. Baby has gas and wakes up crying. 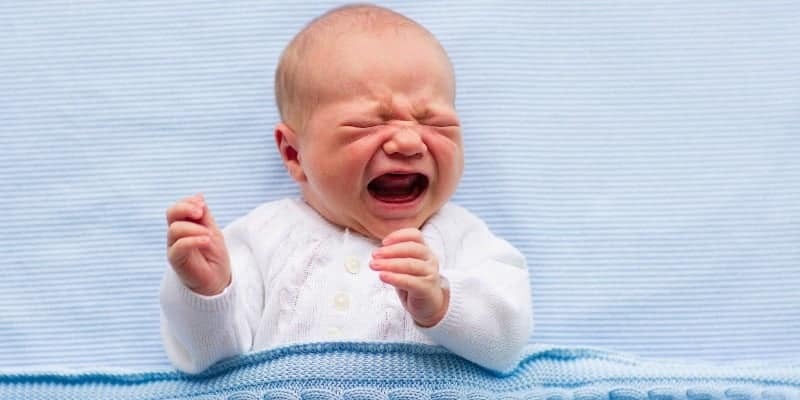 This type of cry is usually more one of pain or distress than the cry from #1 and you’ll know this was the case if you pick baby up and he or she burps quickly. How to avoid this? More frequent burping throughout the feeding then really working to burp baby well before putting them down to rest. Another thing you can do is after feeding, burping, changing diapers, and before you put baby down to rest…. hold baby upright. The longer you keep baby in the horizontal position the better to minimize reflux discomfort for your little one. Ultimately, reflux is something that passes in most babies (though not all) around the time they begin sitting up for this very reason, so if you can hold baby upright pre-feeding then it will make a big difference. Of course, if your baby is exhibiting signs of reflux I hope you’ve already taken them to the doctor and then followed the recommendations you were given. We are in an unprecedented time where the pendulum swung from enthusiasm for all medicines last century (vaccines! pills!) to a near current disdain for medicine. Obviously we don’t want to over-medicate our kids when it isn’t necessary, but don’t be afraid to try what’s on the market if it’ll bring relief to your little one. By 1 year of age, most babies will grow out of reflux. This is because up to this point the baby’s esophagus is not fully formed. At around one year of age the esophageal sphincter muscle is more fully developed and will stop allowing the stomach contents back up into the esophagus. While some continue to have reflux or GERD symptoms into toddlerhood, most do not. Comfort a baby who is in pain. Even if you are creating sleep props you’ll have to break later, a baby who is in pain isn’t going to sleep without some help anyway. Try and avoid overtiredness. It’s a myth that wearing baby out will make him sleep better. It’ll do the opposite. Set the stage for sleep. 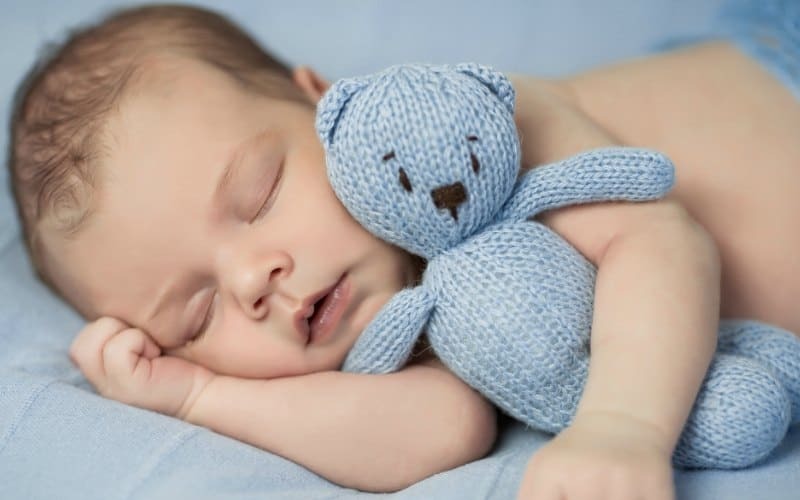 Use positive sleep associations, baby bedtime routines, and wind down routines to help baby get into the mood to sleep. Most will. Not all the time, but much of the time. Follow all The Things. Do all that the experts say to do to help relieve baby’s pain, including the gripe water and medication and watching your own diet for foods that contribute to reflux. Then… if baby won’t sleep… comfort baby. In this step-by-step course, you will learn the keys to teaching your baby to sleep. You know there's got to be some way for baby to sleep better. 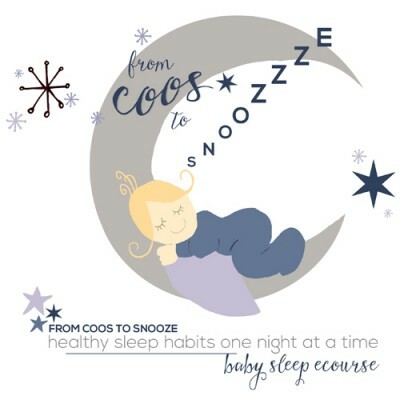 Don't waste more hours and nights in an exhaustion induced fog, learn the secrets that have helped thousands of babies (and their mothers) sleep through the night.